Have you ever wondered what fat is? When a person “gets fat” – or gains weight — what is actually happening inside the person’s body? What are “fat cells” and how do they work? Brown fat is found mostly in newborn babies, between the shoulders, and is important for thermogenesis (making heat). Since adult humans have little to no brown fat, we’ll concentrate on white fat in this article. 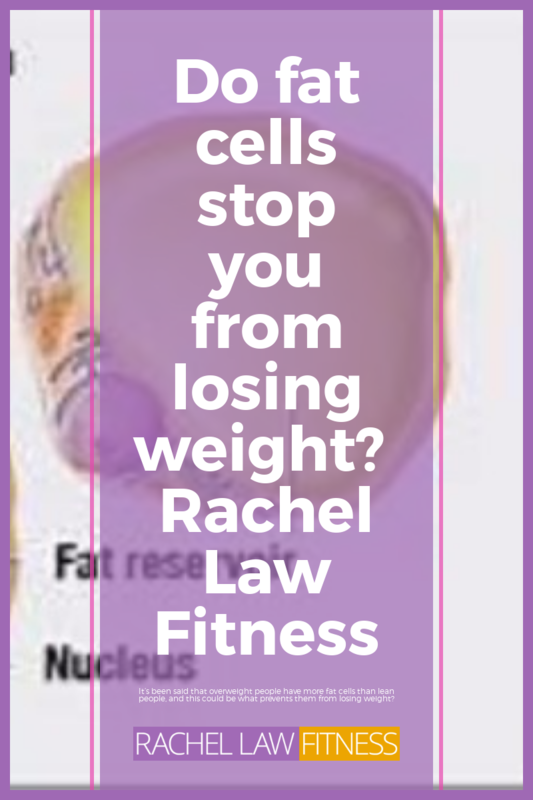 White fat cells have very little cytoplasm, only 15 percent cell volume, a small nucleus and one large fat droplet that makes up 85 percent of cell volume. Where do we store fat? Fat, or adipose tissue, is found in several places in your body. Generally, it is found underneath your skin (subcutaneous fat). There’s also some on top of each of your kidneys. In addition to this, some fat is stored in the liver, and an even smaller amount in muscle. Where fat is concentrated in your body depends upon whether you are a man or woman: An adult man tends to carry body fat in his chest, abdomen and buttocks, producing an “apple” shape. An adult woman tends to carry fat in her breasts, hips, waist and buttocks, creating a “pear” shape. The number of fat cells grows through childhood and adolescence, but generally stabilises sometime in late adolescence. After that, your fat-cell count stays the same. People on the fast track to obesity pack on their fat cells more quickly in childhood. Naturally lean people have fewer fat cells, but keep producing them until the age of 18 or 19. Overweight adults have larger fat cells and may have more of them. What happens when we lose fat? 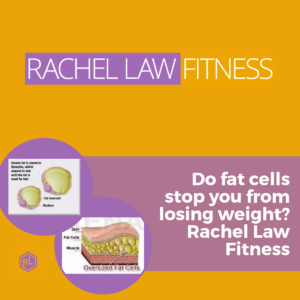 When you “lose” body fat, the fat cell (also called an adipocyte) does not go anywhere or “move into the muscle cell to be burned. The cell itself, (unfortunately) stays right where it was – under the skin in your thighs, stomach, hips, arms, etc., and on top of the muscles – which is why you can’t see muscle “definition” when your body fat is high. Fat is stored inside the cell in the form of triacylglycerol. 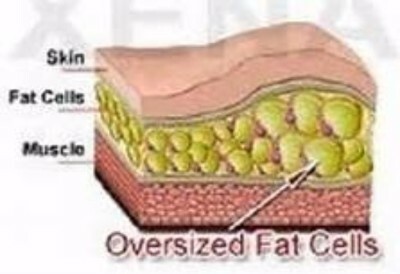 The fat is not burned right there in the cell, it must be liberated through somewhat complex hormonal/enzymatic pathways. When stimulated to do so, the fat cell simply releases its contents (triacylglycerol) into the bloodstream as free fatty acids (FFA’s), and they are transported through the blood to the tissues where the energy is needed. Picture a balloon that is not inflated: It’s tiny when not filled with air – maybe the size of your thumb. When you blow it up with air, it can expand 10 or 12 times it’s normal size, because it simply fills up. 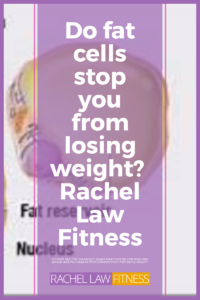 So you don’t actually “lose” fat cells, you “shrink” or “empty” them. Even after marked weight loss, the body never loses adipocytes. As a rule, to facilitate changes in weight, the adipocytes in the body merely gain or lose fat content. 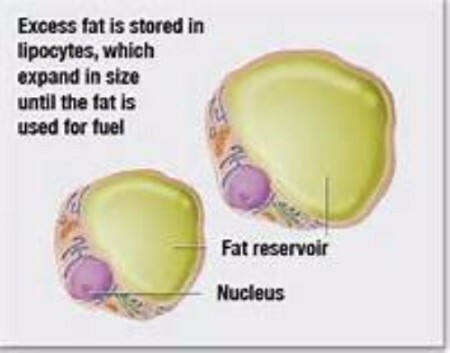 The fat globules within each cell increase as you store more fat. During adulthood, about 8% of fat cells die every year only to be replaced by new ones. As a result, adults have a constant number of fat cells, even those who lose masses of weight. Instead, it’s changes in the volume of the cells that cause body weight to rise and fall. Research has shown that obese adults produce about twice as many new fat cells every year as lean ones. However, obese adults also have more fat cells anyway than lean ones, and the proportion of new cells added is the same in both groups. These similar birth rates are matched by similar death rates. Anyone can shrink their fat cells and get lean if they work hard and eat right. Remember, fat is what fills the cells. You can still lose the fat and shrink the cells. So to return to my original question. Do overweight people find it harder to lose and keep off weight? The more fat cells you have, the more difficult it is to lose fat. People who have built up a large supply of fat cells in childhood that is constantly replenished throughout adult life are at a disadvantage. You have to burn more than you eat. Starving yourself may cause quick weight loss at first, but never works long term because it actually decreases the activity of fat burning enzymes that release fat from the cells. To avoid this “starvation mode” use exercise to BURN THE FAT, not very low-calorie crash diets. Get control of your weight now. If you are gaining weight, and especially if your weight is climbing upwards out of control, make a decision to STOP RIGHT NOW. Your fat cells are expanding and may make it more difficult to burn fat in the future. NOW is the time! Your fat cells are not gone, they have merely “shrunk” or “emptied out. Fitness is not a 12-week program, its a lifestyle. To stay lean you have to eat right and stay active. Genetics are only a minor factor. You may not have control over how many fat cells you were born with, but you do control the major factors that determine how much fat you store: lifestyle, exercise, nutrition and mental attitude. If you would like to receive articles like this in your inbox every 2-3 weeks, please sign up to my newsletter.